Less than two months before the referendum is held on 30th of September, the government has released 10 facts about the Final Agreement for resolving the Macedonian-Greek name dispute and a strategic partnership. 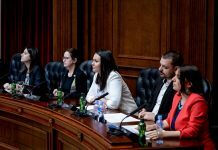 According to the Government, the Agreement is so far the best and gives a fair opportunity for the citizens of Macedonia. “The Agreement is an investment in the Macedonian future, which clears our country’s path to joining NATO and to start negotiations with the EU. We are becoming a member of the families of NATO and EU nations that enjoy strong economic development. 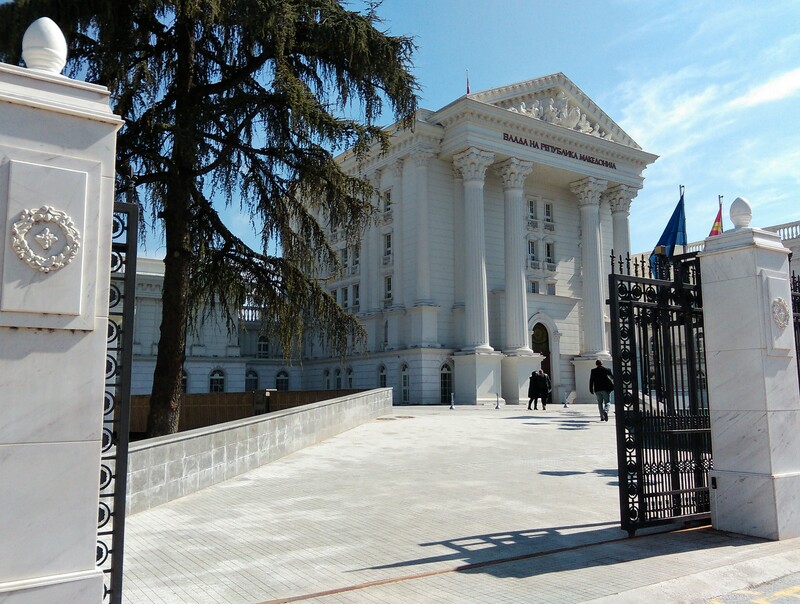 The Agreement makes way for a better life for all citizens and we get to keep the rich history and cultural heritage that has made our Macedonian nation famous,” says the first fact. 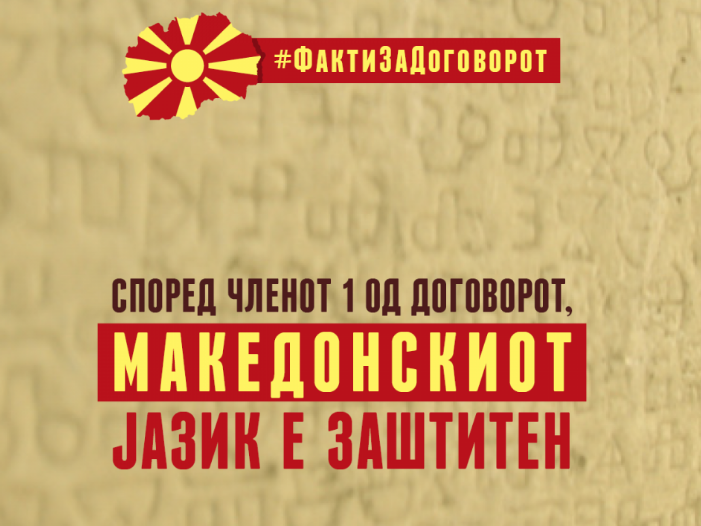 Furthermore, the government points out that the Agreement protects the Macedonian identity, the Macedonian language, and the citizenship is ‘Macedonian’ and it will remain that way in the future. They add that the national anthem, the coat of arms and the flag will not change and that state symbols were not part of the negotiation process. The country code will remain MK and MKD, as officially defined by the International Organization of Standardization (ISO). As for the benefits of reaching the Agreement, the government stresses the invitation for NATO membership and receiving a date for the start of EU membership negotiations. “The Agreement guarantees Macedonian-Greek friendship and cooperation. It increases the cultural cooperation between Macedonia and Greece in the field of arts, dance, cinema, music, theatre and sports. It facilitates travel by modernizing and building new border crossings. It increases co-operation between the two countries in the fight against organized and cross-border crime, as well as terrorism and economic crime,” says the government’s press service. The 10th and last fact says that the reference “FYROM” will no longer apply and the country will be registered with the United Nations under the name “Republic of North Macedonia”, translated in all languages.